HANK PHILLIPPI RYAN: See? Here’s the thing. I just read Roger Johns’ new book, and it’s terrific. And then, I read this blog on how he wrote it. And it’s either hilarious—or...well, it's hilarious. Because a reader would never know, not ever, all the crazy nights and frantic days and unlikely wishes we all make when we are writing—trying to write—a book. Roger is a debut novelist. Who among us is going to tell him that it never gets easier? Certainly not me. But it does get more fun and more rewarding—and we are thrilled to bring him to the Jungle today to introduce him to his new community. About the moment the book-magic happened? He has much to teach us. THERE IS NO MAGIC IN THE NIGHTTIME! My debut novel DARK RIVER RISING is out this Tuesday, August 29, and its upcoming release has put me in a contemplative mood. As the day draws closer, I’ve been thinking a lot about the process I went through to convert the original story idea into a book. Bottom line: it was messy and, at times, a bit comical. Somewhere I read that one began with an outline. My first few were done in the grade-school style of Roman numerals and capital letters. What was I thinking? Unable to bear the humiliation that would ensue if they became public, these outlines have been destroyed. Then came the Era of ‘Less-Structured’ Outlines. A book on how to write novels recommended some mental exercises for tapping into my inner something-or-other. I became so focused on the exercises that my original goal foundered on the rapids of my fast flowing something-or-other. As with the formal outlines, written evidence of this experience no longer exists. After that: The Age of Scene Lists. Endless hand-written pages of scenes. This was actually quite helpful but the ideas wouldn’t behave properly. They were never in the mood to obey the rules by lining up according to the dictates of the three-act structure. I still have some of these pages, but they will never again see the light of day. Next, I entered the Epoch of Scenes Described on Stacks of Index Cards. These, I lovingly push-pinned onto a big cardboard project board firm in my conviction that by seeing all the ideas in one giant eyeful, the pattern of the story would emerge. Sort of like those pictures where, if you stare long enough the hidden image suddenly pops into sharp focus. Or just maybe, during the night, the scenes would magically rearrange themselves into the proper configuration. There was no magic in the nighttime. I still have some of those index cards. As I continued my endless walkabout, I learned a lot about writing and about myself. After years of either studying, practicing, teaching, or writing about the law I discovered that the highly structured thinking that makes the legal world go round isn’t necessarily the best place to begin the creative process. Creative ignition, at least for me, lay elsewhere. This realization came to me by degrees, at about the same time it dawned on me that what I really wanted was to write a story about people. The original idea for the story had fooled me into thinking I was writing about something. Eventually, I came to understand that I wanted to write about someone. Once these thoughts took root, the original story idea got demoted from ‘the whole point’ to just a vehicle for telling the story of Wallace Hartman, a homicide detective who is in the midst of questioning the foundational assumptions of her life. Up to that point, I had been using characters as tools to write about a plot idea, instead of using a plot idea to tell a story about my characters. I can no longer remember what made me see that I had been thinking about things backwards, but I thank my lucky stars it happened. After I cleared one more conceptual hurdle––I changed Wallace from male to female––the magic finally happened. HANK: We’ve been talking a lot about the writing process this week—but none of it was planned. I love when that happens. Maybe that’s how writing a book works. SO—changing a male character into a female…that’s fascinating! I did that in my Sherlock Holmes pastiche story The Adventure of the Dancing Women—which featured detective Annabelle Holmes. Roger grew up in Alexandria, Louisiana. He has law degrees from LSU and Boston University. 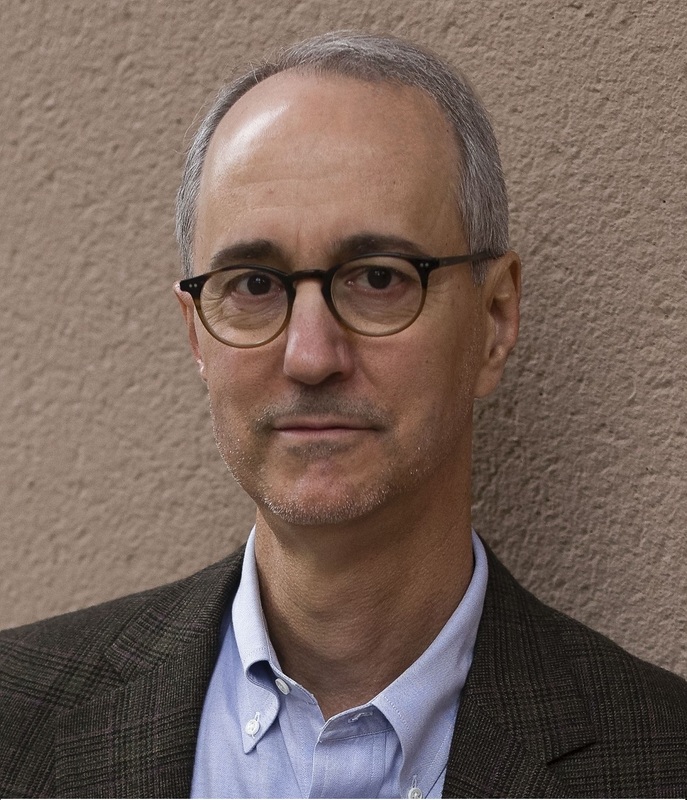 After a brief career as a corporate lawyer, he spent almost twenty years as a college professor, teaching business law and employment law and international business transactions. At other times, he worked as a ranch hand, drapery hanger, shoe salesman, tuxedo rental clerk, bookseller, and party photographer–– among other things. He and his wife now live in Georgia. 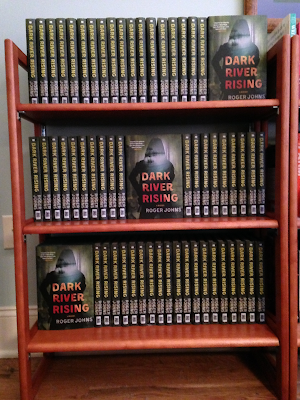 Dark River Rising, from St. Martin’s Press/Minotaur Books, is his first novel. Baton Rouge homicide detective Wallace Hartman realizes she’s losing faith in the path she has chosen for her life. A gruesome murder intensifies both her doubts and her determination to vindicate her choices. In the company of a DEA agent with his own interest in her investigation, Wallace is thrust squarely into the cross-hairs of a neophyte killer who repeatedly shatters her world as he pursues an agenda no one could have anticipated. Congratulations, Roger, on your debut novel. I’m looking forward to reading it. I think it might be interesting to morph James Bond and/or George Smiley into a woman . . . .
Oh! That is a great idea! There a female James Bond? Who might that be? Emma Peel? Roger Johns says: Joan Emerson: Thanks, Joan. I’m with you on changing these iconic characters. The book sounds fascinating, Roger. Congratulations. I particularly like your realization that the story is about people doing a thing, not about a thing with people in the mix. As for the gender switch, I've insisted for years that Lando Calrissian, so ably played by Billy Dee Williams in "The Empire Strikes Back," should have been a woman. If Han Solo's former associate, now gone legit, had been female, it would have introduced a whole new dynamic to the story, and turned a utility character into someone really interesting. Hmm, Lando as a female character? I could totally see that, Gigi! Gigi, I just have a question for you. If Lando was so ably played by Billy Dee Williams, why do you insist that the character should've been female? I'm not being a wiseguy or anything, I'd like to know your thinking about that because I loved Lando as he was in the movies and in the books that came afterwards (now wiped out of Star Wars canon after being purchased by Disney). Gigi, what an interesting idea! We could have two versions of the movie, one with Billy Dee as Lando, and one with… The woman of our choice. That might be really fun to compare! I think a female Lando would have added an extra layer of tension to the Han/Leia relationship, and another strong female to the otherwise male-dominated Star Wars universe. Sure, Billy Dee Williams did a fine job, and it's always a pleasure to have Billy Dee Williams onscreen, but putting an actress in that role would have added some extra layers of nuance. I think it would have made Lando a more interesting plot element. Landa? Landissa? Or still Lando? Depends on whether or not you think we had Latin-based gender conventions long ago, in a galaxy far, far away, I suppose. Roger Johns says . Gigi Norwood: Thanks, Gigi. Sometimes I think I should have figured out the people versus things bit a little earlier. It seems so obvious now. As to Lando Calrissian, or any other characters, it seems to me that if we view the original conceptions as merely provisional, we leave the door open to much richer possibilities. As a kid, I read a lot of (maybe too many) superhero comic books, and the comic book writers were the consummate experimenters in this regard. Superboy remained male, but eventually Supergirl was introduced. And so it went. And it has worked so very, very well. I think you've nailed, for me, Roger, why many books get tossed after the first few pages. Someone--say, an editor--comes up with a great setting, storyline, whatever--and then someone fills in the blanks in pursuit of the story. And, voila! A book! And I couldn't care less about the characters, so the book does not hold my interest. I like the sound of Wallace, especially being female--you know right away there's a story behind her! And the cover is great, too! I'll be looking for your book. Yes, it really works Last night I was at an event with Tess Gerrtsen… (Yes, brazen name dropping)… And she said she could not write a character until it spoke to her. Until she could hear the character's voice. I wonder if that's what happened to you, Roger'? Roger says: Flora Church: Thanks Flora. We’re the same in that regard. Characters I don’t care about are the fastest and most common reason I decline to finish a book. And yes, I think the artist a Minotaur did a fantastic job on the cover. Hope the book is one you enjoy. Hank, Jack Reacher as a female? Oh I think you hit it on the head by suggesting Brienne of Toth as a guide for that change. And now I totally want to see Gwendoline Christie in that kind of role. I forgot to mention to Roger that I'm very intrigued by your book and will add it to my want list. Yes, wouldn't that be fabulous? Roger says: Jay Roberts: Thanks, Jay. I hope you enjoy reading Wallace’s story as much as I enjoyed writing it. Roger is trying to join in this morning, but is having some problems signing in! He will be here ASAP! Roger, you forgot that just as you think you've got it figured out the next book is completely different! LOL Love the premise and your description of the process. Yeah, I guess I would, too...but think how many things would have to be different. And ..huh. It's fascinating to consider. Would Moneypenny still be a woman, too? Hank, I think we'd have to flip Moneypenny, too. Roger says: Mary Sutton: Hi Mary. You’ve got that right. The second book is in edits now and it was such a different road. However, I was able to skip over the Roman numeral outline phase, this time. Congrats, Roger! I agree that character is key. If I abandon a book, as a reader, it's generally because I just don't care what happens to the characters. What if Harry Potter had been a girl? Would she have been embraced by readers worldwide? Gotta wonder, right? When I thought about it, I pictured Hermione..would people have believed that? And Harry as the Hermione role? Hmmm. It's so interesting how much it changes everything...but should it? Roger says: Ingrid Thoft: Thanks, Ingrid. I’m with you on the character-is-key issue. Good question about Harry Potter. Written today, I’d like to think it would have worked quite well. Internal AND external tension: Bingo! Will the next one be easier, do you think? The best writing advice I've ever heard came from Nora Roberts, and boiled down to "Just do it. You can fix it later. But you can't edit what you haven't written." True true true, Sheila! I can't tell you how often I think about that! Roger says: Sheila Connolly: Hi Sheila. The second one was easier in some respects, but different because I was able to leverage what I had learned the first time through. Still messy, but maybe less so in some respects. Hi Roger,your title alone convinced me to order the book. I am looking forward to exploring another part of the South. I can appreciate your thoughts on moving from fact based writing to novels. Was dialogue a problem, or did it flow naturally. I also like that Wallace is a woman. Interesting. I am a Dr. Who fan, as most know, the new regeneration of the Doctor is a woman. There has been a lot of discussion in fandom about this fact. So my other question is for you is when you changed Wallace's gender, how many of her character traits also changed for you? Oh, you are SO right! I forgot about the new Dr. Who. That'll be interesting! Congrats, Roger, and I loved your description of the process. I actually know writers (well, at least one writer) who make those huge layouts of colored index cards work! On a technical note, have you tried Scrivener, the writing software? It's great for outlining, flexible enough to let you move things around, and helps you keep track of what you've done. So, what if Frodo Baggins had been Froda? Can you imagine that? As much as I love LOTR, the female hobbits are never more than footnotes. FRODA! I am telling you, that is BRILLIANT. Whoa. Amazing. And can I come over and you teach me Scrivener? I will bring wine. Roger says: Deborah Crombie: Thanks Deborah. I haven’t tried Scrivener – yet – but only because of my natural suspicion of all new technologies. Several other friends have tried to get me to convert, and eventually I’m sure I’ll cave in and then wonder why I was so stubborn. As to the hobbits, I recall reading, somewhere, that there was only one feminine pronoun in the entirety of The Hobbit. I haven’t tried to verify this, but you’re correct that female hobbits were just a footnote. And the ones mentioned in LOTR are not always pictured in the most flattering light – Lobelia Sackville-Baggins comes quickly to mind. Whoa. There was a completely different post by Rhys up earlier about books set during WWII. I was actually first to comment (and I commented on that, of course) and several others followed me. Now I check back and...different post! Time warp? Kidding. Yes, we went Jungle Red crazy this am and put up two posts. But it was Roger's day! Roger is reading every one of these and TRYING to comment. HIs computer has decided to go into battle today, apparently. He will keep trying! Roger, thanks for sharing your journey of writing with us. I love how you came to the realization that it was the story of a person you wanted to tell, not a story with the person in it. And, changing the character from male to female. As a fan of James Ziskin's Ellie Stone series, I'm not the least bit skeptical that a man can write a female lead successfully. 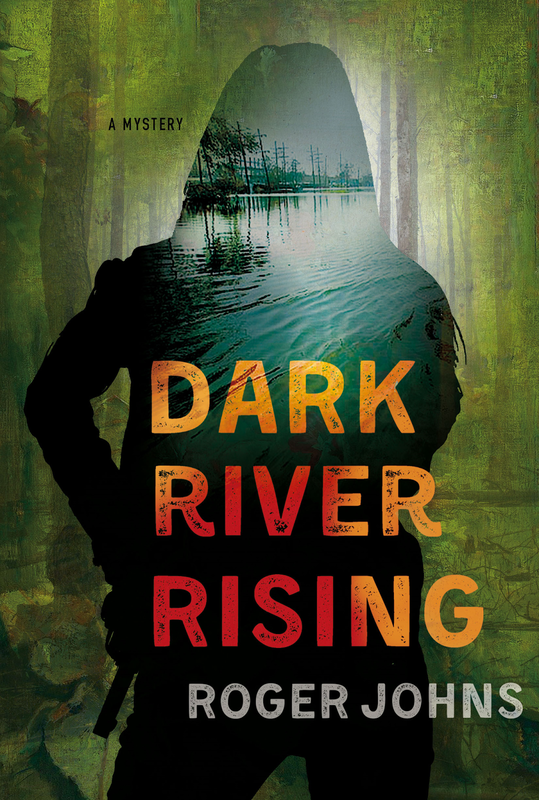 I'll be adding Dark River Rising to my TBR list. Congratulations on your debut, Roger! Roger says: Kathy Reel: I’m happy to share my journey. It has been such an interesting and rewarding chapter in my own story. I sincerely hope I got my female lead character right. Thanks for adding Dark River Rising to your TBR list. Hope you enjoy it. "I have been trying for hours, with absolutely no success. I feel just awful that I can’t communicate with all the wonderful people who have sent in comments." This post is hilarious and fascinating and delightful in so many ways. I love the part about the index cards the most, but I also love that there was an epiphany that something was really someone which made the magic happen. I love epiphanies. 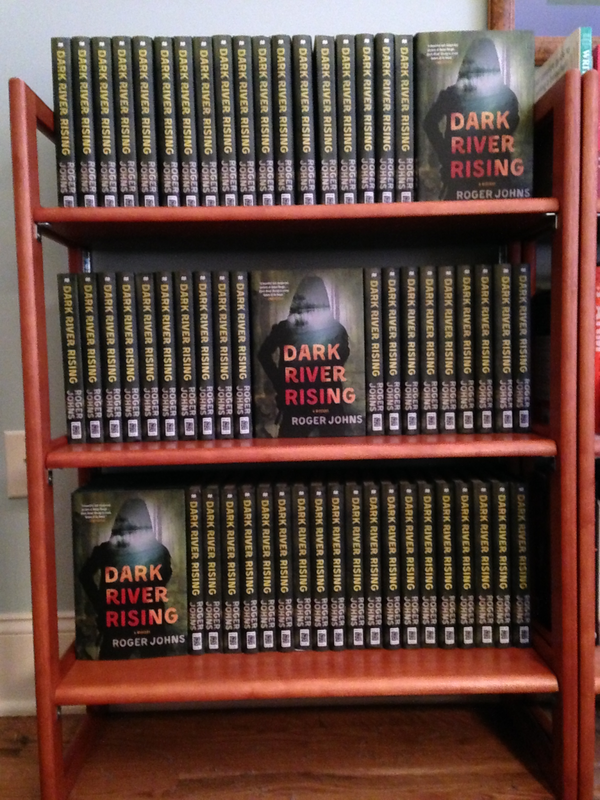 This blog post has charmed me, Roger, and I'm really looking forward to reading Dark River Rising. Yes, I agree. It DOES happen. And you can't MAKE it happen. You "just" have to believe. Roger says: Jenn McKinlay: Thanks, Jenn. It’s been a fascinating journey. And it is fun when an insight just flies in the window. I hope you enjoy the book. Roger, what is impressive to me is that you never gave up! You persevered through numerous changes. I owe it to you to honor that and to read your book! Oh, and I like Joan Watson on Elementary. From Roger: Deborah Romano: Thanks, Deboroah. I’ve enjoyed it all, so far, even though sometimes, when I was just sort of staring dumbfounded at the thing, and frustration was running high, I didn’t realize that what I was feeling at the time I would later consider a form of enjoyment – that the woe of the problem was just the preface to and part and parcel of the joy of the problem solved. Congratulations, Roger! Cherish your first book, and thank you for having the courage to share the glimpse into the development of your process. I know I found it a comfort! Much success! Kait: Thanks, Kait. It’s a great deal of fun. Welcome Roger. Your book souls great and I look forward to reading it. HI Ann! xoxoo Yes, it's a good one! From Roger: Ann Mason: Thanks, Ann. I’m hoping you enjoy reading.